The masterminds behind Rose City Comic Con have invited our disembodied heads to be guests at their fine convention this weekend! 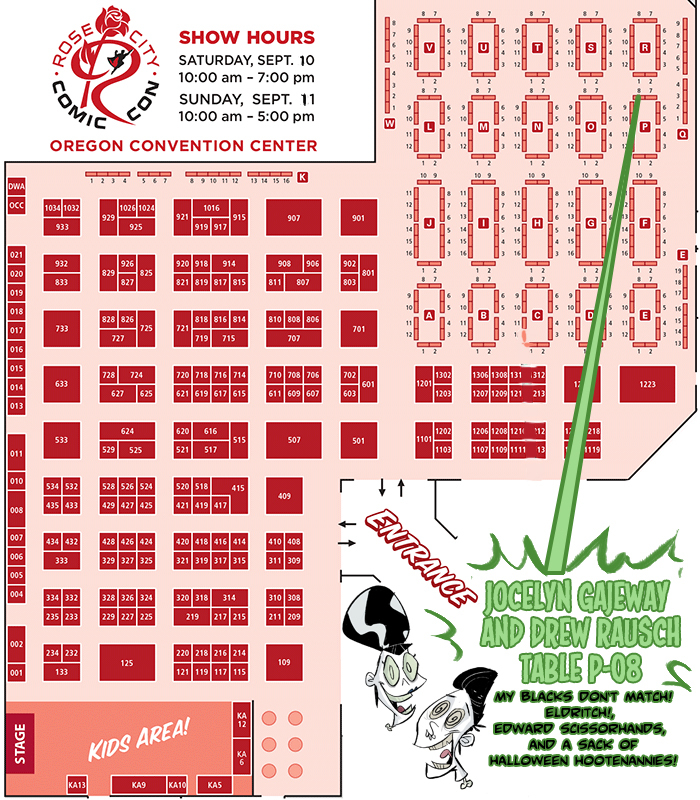 We’ll be at Table P-08 Saturday and Sunday with more tricks and treats then you can probably handle! This is our first time in Portland, so clearly we haven’t eaten in months to make room for all the Voodoo Donuts ( a few hundred dozen should do the trick)! We can’t wait to see your faces! Hopefully, they’ll be screaming! Damn…I thought you meant Portland Maine.